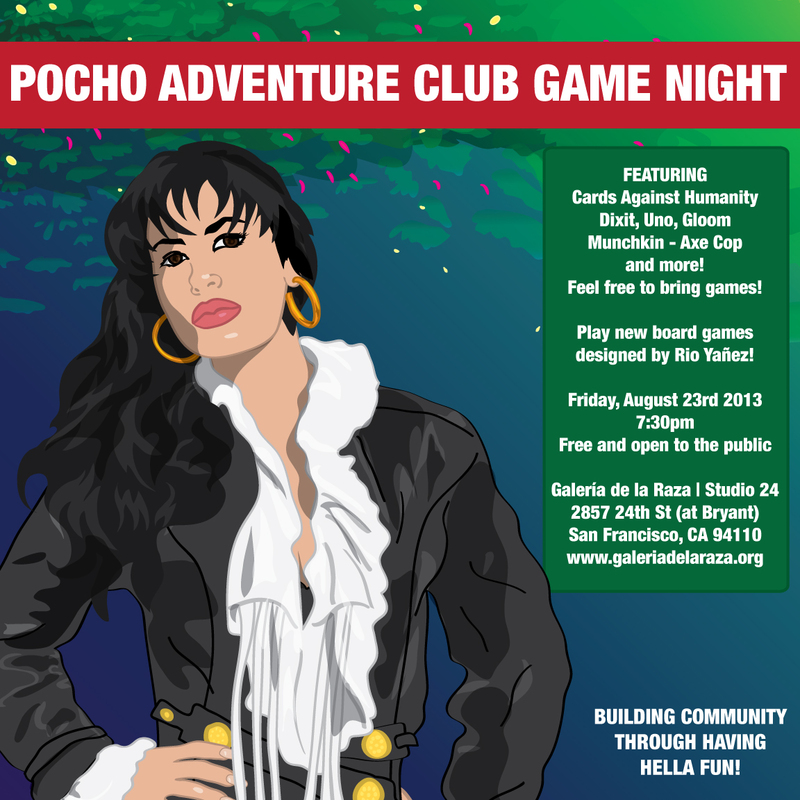 Pocho Adventure Club Game Night! This Friday! I hope to see you all there! The night will feature original board games designed by Pocho Adventure Club artist Rio Yañez, including Cholas vs. Dinosaurs, in which cholas use their Aquanet saves to sidestep deadly dinosaur encounters. The night will also feature the debut of two new board games designed by the artist. Game rules to be posted – be sure to bring your game spirit.